If you are a regular (or irregular) reader of my blog here I hope you will do me the honor of taking a few minutes to respond to a short survey I created last week. It is at http://sdrv.ms/177xb96 I thank you for you time and your readership. Here now the more interesting links. A supercomputer in your pocket [infographic] Wish I could get a good size print out for my lab. The Purple Voice is Going Green The Computer Science Teacher newsletter going to e publication. Binary Flippy Do - How To Rebecca Dovi explains how she teaches Binary numbers with a sort of flip chart. Student Tech Squad One of the best things for any district tech program. It’s been a while since I tried to collect any data about who reads my blog and why. When someone pointed out to me that Skydrive has the ability to create web surveys I saw that as a chance to kill two birds with one stone – try out a new thing and gather data on who is reading my blog. If you are a reader of my blog - regularly or occasionally - I hope you will help me out by taking the following quick survey. No personal information is captured but there is also room for making suggestions for how I can improve. I’ve written about a number of technology competitions and award programs for students in the last month or so. I thought that a single post on them might be useful. So here we go. The NCWIT Award for Aspirations in Computing program. This program recognizes high school young women for their interest and aptitude in technology. Aspirations in Computing currently offers over 300K in scholarships for young women in computing. You can learn more at aspirations.org. The Imagine Cup is Microsoft’s big international competition and challenges for students. The three main competitions are back for 2014: Games, Innovation, and World Citizenship. And once again the prizes are substantial: $50,000 to the first-place team in each competition! All of the rules for 2014 are available now and there are a lot of changes, so please take a look. ACSL organizes computer science contests and computer programming contests for junior and senior high school students. This year, our 36th year of continuous operation, over 200 teams in the United States, Canada, Europe and Asia are participating. ACSL is on the approved activities list of the National Association of Secondary School Principals (NASSP). 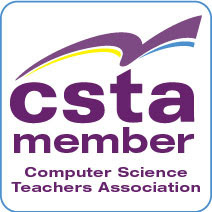 ACSL is also an institutional member of the Computer Science Teachers Association. The 2013 IBM Master the Mainframe Contest is now open! This year, the IBM Academic Initiative System z team is giving away over $53,000 in prizes, including Google Nexus 10 tablets, expenses-paid trips, custom T-shirts, and a ton of swag! Plus, tons of great technical challenges to give your students hands-on experience and sought-after skills. Students who complete the first two parts of the contest will gain hands-on experience with four different operating systems! Specifically focusing on middle school and high school-age participants, the Verizon Innovative App Challenge, which launched in 2012, is a collaborative competition created to encourage students’ interest in science, technology, engineering and mathematics (STEM). This second Verizon Innovative App Challenge, which offers up to $20,000 grants for winning schools and a Samsung Galaxy Tab for each winning team member, has also been designed to engage students, provide them with valuable new skills and experiences and open their eyes to exciting new possibilities in STEM for their futures. The Spirit of Innovation Challenge is an excellent way to help your students channel their creative thinking and demonstrate their knowledge. The annual program is a multi-phase, business and technical plan competition, free and open to students ages 13 - 18 from around the world. The program invites teens to work in teams of 2-5 students and use science, technology, engineering and math skills along with creativity, collaboration and entrepreneurship to develop innovative products and services to benefit humanity and address global sustainability. This was posted to the AP Computer Science mailing list. I thought it was worth posting here for people not on that list. Looks interesting. Specifically focusing on middle school and high school-age participants, the Verizon Innovative App Challenge, which launched in 2012, is a collaborative competition created to encourage students’ interest in science, technology, engineering and mathematics (STEM). As we are all aware, student achievement in STEM is critical to U.S. economic growth and competitiveness on the global stage. Last year, over 1,000 schools from every state and Washington DC registered for the Verizon Innovative App Challenge and over 470 teams submitted app concepts that solved for social issues. More so, over 3,000 students were engaged in this challenge and over 50% of the winning team members were girls. Winning teams presented their apps at the 2013 Technology Student Association National Conference in Orlando, FL in June. Working with a faculty advisor, students in teams of 5 will develop an original concept for a mobile app that incorporates STEM and addresses a real need or problem in their school or community. Because students are judged solely on their submission of a unique and creative concept, we hope to pique the interest of those who otherwise would not participate in a technology challenge. Registration for the Challenge opens on September 3rd, 2013 and all submissions must be completed by December 3rd, 2013. The Verizon Innovative App Challenge is proudly sponsored by the Verizon Foundation in partnership with the Technology Student Association (TSA) and Samsung. I was helping a student today and realized that he’d been “lost” for a while. I was going pretty quickly and everyone seemed to be keeping up just fine. Not this student. And truth be told I had become suspicious that a couple of other students were having trouble as well. Sure a couple of kids did the project I was giving them three class periods to do in one period. But other were asking a lot of questions I really hadn’t expected. I asked the student why he hadn’t asked more questions and received an answer that is far too typical. “I was the only one who was lost and I didn’t want to ask questions in front of everyone else.” I think about half the class may have been doing the same thing – assuming that they were the only one not keeping up and so being embarrassed to ask a question. I don’t blame the students. They are young and that is how things are when you are young. I blame myself for not noticing. Sometimes we get caught up in our lectures, demos and explanations and our pride kicks in. “I’m doing wonderful. Everyone gets it.” I should know better. A lack of questions is a bad thing not a good thing. Asking questions of students and getting good answers back, if only from a few, lets us kid ourselves into believing that everyone gets it. It’s what we want to believe. In some ways it’s worse the better we, the teachers, know the material. I could do this stuff in my sleep. Everything I am teaching I have done uncountable times over 40 years. It’s clear as day to me. Why wouldn’t it be clear to young people who have never seen anything like it in their lives? Oh right. Coding is a whole new way of thinking for them. That’s why! So tonight I am thinking about two things. One is how will I do this different next semester to avoid this problem. Well, mitigate it at least. More importantly how do I back up, slow down and move forward bringing everyone with me this time? Getting truly amazing programs from the students who have more background in coding or who somehow get it easily is nice but that is not what good teaching is about. Anyone can teach the so-called smart kids. Good teaching is about bringing along the students who don’t come by it easily. Good teaching is about seeing how doesn’t get it the first time and finding a second or third or more way until you find a way that they can get it. Tomorrow I try to be a good teacher. This weeks quote of the week is from Vicki Davis ‏@coolcatteacher who Tweeted “I don't want my students to buy the apps - I want them to make them.” Isn’t that what most of use want? Students who are creators and not just consumers. Kinect Games, xGames and TouchDevelop is a post by David Renton which lists a lot of the educational resources he has available on those three topics. Something a bit different. Perhaps for more advanced students. An Excel Turing Machine Yep, someone created a version of the Turning Machine using Microsoft Excel. You can get a copy and/or read how they did it. Yep, another competition for students. The Cyber Patriot competition now open. For middle school too. CyberPatriot is the premier national high school cyber defense competition created by the Air Force Association to inspire high school students toward careers in cybersecurity or other science, technology, engineering, and mathematics (STEM) disciplines critical to our nation’s future. Can you guess the programming language by reading a “Hello, world!” snippet? There are a lot of languages out there. Some of them look pretty weird to me. Others seem to look the same as each other. I liked a @YouTube video from Chris Winikka @winikka called Intro to Visual C# Programming Part 1 Chris took a workshop I lead a number of years ago. He’s doing some great stuff now. Probably only coincidence that he took a workshop with me though. In Boredom Could Kill On-line Programming Education Garth Flint @gflint comments on some online educational sites. We need to look at these sites with a critical eye to make sure they have the value that their creators hope they have. Imagining an Imagine Cup project with Kinect? The latest SDK 1.8 update is here and ready for download: http://spr.ly/6017wv29 I’ve started to play with this myself. Some great sample code is included. September 2013 brought us a Special Issue of IEEE Computer on Computing Education. A new project, Google's Coder project turns the Raspbery Pi into a mini app server. May have to try this myself. A Missile Commander Game - a Small Basic Featured Program continues to show off how powerful Small Basic is in spite of its name. Cloud at ECOO13 via Doug Peterson @DougPete ECOO 13 looks like a great conference for Ontario (and area) educators. Become a session or workshop presenter at the 2014 CSTA annual conference July 14-15 in St. Charles, IL! Something different. Something from IBM. A teacher friend of mine forward the following announcement the other day. This contest is open to high school and university students in the U.S. and Canada (excluding Quebec). Sorry Quebec. I know that some high school students have done this in the past and learned a lot. The mainframe is not completely dead and will likely never be truly dead. An experience like this will set students apart from the crowd. Registration for the 2013 IBM Master the Mainframe Contest is now open! This year, the IBM Academic Initiative System z team is giving away over $53,000 in prizes, including Google Nexus 10 tablets, expenses-paid trips, custom T-shirts, and a ton of swag! Plus, tons of great technical challenges to give your students hands-on experience and sought-after skills. Students who complete the first two parts of the contest will gain hands-on experience with four different operating systems! Visit our 2013 Master the Mainframe Contest homepage for details. Students can access the simple registration form from that page. We also put a link to a printable PDF flyer on the homepage to help promote the contest to your students - the perfect accessory for any bulletin board! The contest, which begins on October 7, is an educational tool that progresses in difficulty and prize value as contestants complete a variety of tasks, logging into a remote mainframe system from their own workstations. This year, the custom Master the Mainframe Contest T-shirt (the prize for being among the first 2,600 contestants to complete Part 1) will feature "tour dates" on the back, which will match the hometowns of the 50 schools that have the most registrants as of October 7. Students will also be encouraged to use their mainframe skills to help them apply for the jobs on our System z Job Board at systemzjobs.com. Our team hopes to see your students Mastering the Mainframe this fall. Best wishes for a successful semester! I've been creating short videos for my honors programming class. They are short and intended for my students to use for review. I’m not saying they are great but since there are up on YouTube I thought that a post with a sort of index to them would be useful for me, for my students and possibly other people. I’ll update this post as I add videos. Scope of Variables An introduction covering module level, class level and block level scope. Nested For Loops For loops one inside another. One of the things I was responsible for while I was working at Microsoft was promoting the Imagine Cup competitions. I did that pretty well. I like the competition and think that is is generally a good thing. Now I am back in the classroom and thinking about trying to see if I can get some students to form a team. Were I in the college/university environment this would be a no brainer. I’d be pushing it all out. For high school students I’m still trying to make up my mind. The thing is that high school kids don’t have as much time as university students do. Nor do my students have quite the backgrounds in development that an upper class university CS major has let alone a graduate student in CS. So winning is a reach goal. Though there have been some high school teams reach the US finals in the game division a couple of times so it is not completely out of reach. So much depends on student motivation though. And since this does not fit neatly into my classes which are single semester ones applying external motivation is tough. I think it would be good for them to try though. Probably in the game competition if anything. High school students are more ready for that one than the others. Plus I have a couple of Kinects and a bunch of Xbox game controllers we could use. Maybe I could try and get them to create a Pitch Video as well. In the next few days I’ll start talking to students in my honors programming class and in the AP CS course. We’ll see if there is interest. Well I was able to blog more often last week. Paying a bit for it as I had a ton of grading to do over the weekend. When inspiration (or something that feels like it) strikes I blog. Grading is less fun though more important. Tops in my links today are some calls for participation. Deadlines for submitting proposals to present at conferences come early. ISTE and CSTA are already open. I’m definitely submitting something for CSTA. Thinking about ISTE as I believe we need a lot more computer science talks there in order to make it the sort of conference that is really useful for CS educators. Visit http://www.cstaconference.org to learn how to become a session or workshop presenter at the 2014 CSTA annual conference July 14-15 in St. Charles, IL! This is the best conference for K-12 CS teachers going and you want to take part in some way or other. The ISTE call for participation is also open at https://www.isteconference.org/2014/program/participate.php The more people who propose CS related sessions the more CS sessions we are likely to be able to get. If you are doing something cross curricula you will doubly want to propose a session on that. Posters are out for the 2013-14 Award for Aspirations in Computing - download here. Last week was programmers day - 100th day of the year - in Hex of course. It’s the 256th (or 28) day of the year in decimal. A couple of blog posts from the Computer Science Teachers Association you should know about. I love xkcd. It’s probably the nerdiest comic strip around. Recently the following strip appeared. I think that people are still better at creating comic strips than computers. I think we’re also still a whole lot better at writing computer programs. The long predicted day of self programming computers doesn’t really seem that much closer today then it did when I first discussed the possibility in university 40 years ago. We’ll probably get there some day. Maybe. There is also a sort of philosophical question here as well. What does it really mean when a computer is “better” at a game than people? If by “better” one means that the computer can beat any human every or even most times does that really diminish the value of the game? Probably not. Ultimately we play games to entertain ourselves. Losing all the time tends to be less entertaining than winning at least some of the time. Although if I only enjoyed Words with Friends when I won I would have had to stop playing a while ago. There is the aspect of getting better and of pushing oneself to improve that can make a game more interesting over time. We don’t stop playing games with our peers just because professionals are a lot better than we are either. I’m never going to beat Tiger Woods at golf but I have a hope (slim perhaps but real) that one day I may beat my son. We play games not because we are perfect at them but because we are not perfect at them. If we got a hole in one on every shot in golf we’d either stop playing or we’d make the game harder. After all if all we wanted to do was put the ball in a hole we could walk over to the green and drop the ball from hand to hole. That’s not what games are all about though. In one sense trying to write a computer program that is perfect at a game is a game itself. It is one layer of abstraction away from participation in the game ourselves. Two years ago the robotics team (FIRST Robotics Team 811) at my school built a robot that could pick up small basketballs, find the basket (using a camera tuned to special reflected tape) and shoot the baskets at the hoop. It was remarkably good at scoring. The challenge was more in getting the robot to work than in playing a game of basketball against people. There was more to the competition than just shooting baskets and there was a role for humans to play which made it a real game BTW. A competition among robots that shot perfect shots every time would have lacked some drama I think. Though if the robots were less than perfect it would have been a game but it still would have been between programmers and not their robot proxies. Ultimately getting a computer to play the perfect game of Go (or chess or even tic tac toe) is not a win for computers but for the people who create the software. It’s a reason for humans to feel better rather than worse about themselves. BirdBrain Technologies has announced their intention to lend out 1,000 Finch robots as their contribution to this year's Computer Science Education Week and Code.org's Hour of Code initiative. The Finch robot grew out of some efforts at Carnegie Mellon University and was designed specifically for educational use. BirdBrain will provide lesson plans as well as the robots for qualifying schools and other educational organizations. Full details are available at the BirdBrain blog. Please APPLY HERE for your organization by 11:59 PM, October 4th. Two interesting and initially unrelated links came across my computer screen in the past couple of days. One was an image that said “Everyone talks about leaving a better planet for our children. Why doesn’t anyone try to leave better children for our planet.” One of my teacher friends pointed out that as teachers that second part is how most of us see our jobs. The second link was basically a story of a teacher not doing enough to leave better children for our planet. To my daughter's high school programming teacher That is the story of a teacher letting the boys in a programming class harass the lone girl in the class. It is a story of not enough being done to leave better children for our planet in general and a field I care deeply about in particular. Now the teachers I know all care deeply about creating a welcoming and comfortable environment for all of their students regardless of gender or race or religion or anything else. CSTA Conferences are loaded with sessions on bringing more underserved students into the classroom and making them comfortable. The same is true of SIGCSE and other conferences. So what is going wrong? There is an certain segment of the population that is willing to write harassment off as “boys being boys.” And perhaps others think that the business world of computing is tough so girls should learn to get rough before they get there. To me that goes against the idea of education which I see as trying to fix what is broken in society rather than to perpetuate it. The “to my daughter’s programming teacher” post has some good suggestions for teachers. Setting the tone is a key one in my opinion. We as teachers have to make it known from day one that programming is not just a guy thing and that women are every bit as good at it as men are. We have to be aware of what is going on in class and take action when/if someone is being made to feel uncomfortable. Talking to students helps here. We can’t just let things happen. I’d like to finish with the caption of one other image that came by recently. “Hug a teacher. They are the only ones standing between us and a future full of morons.” It may be that teachers of computer science are the first line of defense against a future full of misogynous “brogrammers” who make the field uncomfortable for a wide range of people whose ideas and input we really need. CSTA members (you are a member right?) should have seen this in their email. The CSTA annual conference is in my humble opinion the single best professional development experience for K-12 computer science teachers. Please think about proposing a workshop or session or at least attending. The Computer Science Teachers Association (CSTA) invites you to participate in the 14th Annual CSTA Conference. This event will be held July 14-15, 2014, in St. Charles, Illinois (just outside Chicago). Presenters will have the use of a computer projector and screen. If additional equipment or facilities are required, this should be clearly requested in the proposal; it may be possible to accommodate such requests but this cannot be guaranteed.Presenters will be required to pay for their conference registration. All proposals will be submitted through the online symposium submission system that can be found at https://www.softconf.com/d/csta2014. If you encounter a problem with the submission system, please contact Duncan Buell at buell@acm.org. Successful proposers should expect to be asked to submit a reasonably final copy of their presentation by June 8, 2014. Additional conference details can be found at http://www.cstaconference.org. We look forward to receiving your proposals and to your attendance at the symposium. Busy week for me. Lots of stuff going on at school. Seems like the first few weeks of school wear me out no matter how hard I try to be prepared. I have fewer links than normal. I also posted fewer posts last week than normal. We’ll have to see how this week goes. The ISTE call for participation is open - https://www.isteconference.org/2014/program/participate.php We need people to submit computer science talks! Videos of many conference sessions from the 2013 CSTA Conference are now available! This was a great conference so if you missed it or missed sessions you were interested in you can watch them online now. How Carnegie Mellon Increased the Proportion of Women in Computer Science From 7% to 42% Some advice here for more universities. Some of these ideas (support groups for girls for example) would be worth trying in high schools as well. Very Young Programmers on the NY Times. Young means younger than 8. Wondering about this. Rob Miles talks about one of the more obscure C# syntax features at What does ?? mean in C# I’m probably going to skip talking about this one in my lower level courses. Too much thinking is involved. Still it is an interesting feature that could be useful in some applications. During a class discussion last week one of my students asked me “Who is the most successful computer scientist in the world?” Whoa! What a question. I started my reply with “it all depends on how you measure success.” Success means a lot of different things to different people. If you measure it by money then Bill Gates is probably the one. But I suspect that Bill Gates would rather be remembered for his philanthropy than for his work at Microsoft. At least at this stage in his life. If you are a theoretical CS person then winning being awarded the Turing Prize would be a good measure of success. While a number of them are well off I don’t think any of them are in the billionaire range. But they sure are successful in the opinions of many. What then is success in computer science? I doubt there is one answer. There are probably as many answers as there are people in computer science. I told my students if at the end of the course they were not turned off to computer science I would call that some success on my part. If they were more interested in CS after the course and before that would be big success. I gave up on getting rich a long time ago. The price of riches is too high in too many ways for me. I once heard someone say that being able to afford both the time and money for a weekly one hour massage was success. Financially I think that is about right. Being able to do the things you like is success. There is a great cartoon strip that has been making the rounds on the Internet the last few days. Words by Bill Watterston and drawing by Gavin Aung Than. Check it out. It’s Labor Day in the US and schools are closed here. It’s actually the fourth day in a four day weekend for my school. Some how it always feels like this lets us ease into a full five day a week school schedule. I found this post by a pro developer on The importance of comments just after I started talking about commenting code with my honors programming students. Looking forward to using some of the examples in it with my students. "From Hello World to Lightsabers in 60 minutes" is about using a Kinect sensor to create an application that virtually push a light sabre in a person’s hand Looks like fun. 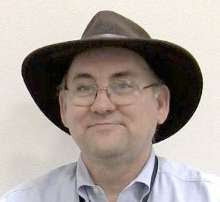 I have started making occasional contributions to Connect Learning Today which is an education technology site run by my friend Ken Royal. My first post there is titled Beyond Teaching Computer Science. Watch this new TouchDevelop video by the development team’s(former) intern Mikhail Belyaev as he walks you through all basic and advanced debugging in TouchDevelop. I was attending a golf tournament this weekend. So naturally my thoughts turned to technology. Yes it was everywhere. But the most disruptive technology was in taking pictures and videos. There were a lot of people telling people not to take pictures. To put away the cell phone. The PGA doesn’t want anyone taking pictures, video or even audio of the event other than accredited photo journalists and the TV company with a contract to broadcast the event. Why? To preserve the value of the images and especially the broadcast rights of the event. They make serious money off of these things. IN fact pretty much any sporting event one attends has restrictions on photography or even the broadcasting of status and events as they occur. Check your tickets – it’s there. The organizers want to have a monopoly on the information so that people have to buy tickets or watch coverage that someone pays the league/organizers to present. Technology is already starting to impinge on that monopoly. For all the people watching and telling people to put their phones away people were still getting images and posting them live on the Internet. Shocking I know. People ignoring what is in theory a contract not to do so. One could get into all sorts of discussion of why that is involving ego and people not understanding why the rules are there but it is all besides the point. The point is that technology is making this all too easy to stop. Google Glass and the inevitable follow ons from other companies are going to make this that much more of a problem for the sports monopolies. I suspect that at some point they will wake up and outright ban Google Glass in many venues. This will start a technology way which the content providers will ultimately and invariably lose. This is probably not going to completely blow up the model of course. People will still pay for the close-up shots that only a high powered camera in a tower or a crane can provide. They will still pay for the commentary. And the information about how far away from the hole the ball is. People are not going to be satisfied with the images from small personal portable devices. But fear will drive the monopolies to try to stop it. That is exactly the wrong thing to do though. The smart monopolies will create apps for these devices and sell subscription services for them. People at the event are going to be very likely to be willing to pay for information being streamed right to their eyeballs using their Google Glass. At an event like the Deutsche Bank Championship (where I was this weekend) they can’t afford to put bit LED signs at every hole and at every viewing sport. But using the networking they must all ready be setting up they could stream that information to people wearing Glass with subscription services. Ball parks could do the same at baseball games, soccer games, and pretty much anything else. Augmented Reality could really change the way people at a live event watched a live event. And make people money. The question is will companies see the value of a new revenue model or fight to hold on to an old model in a losing battle?